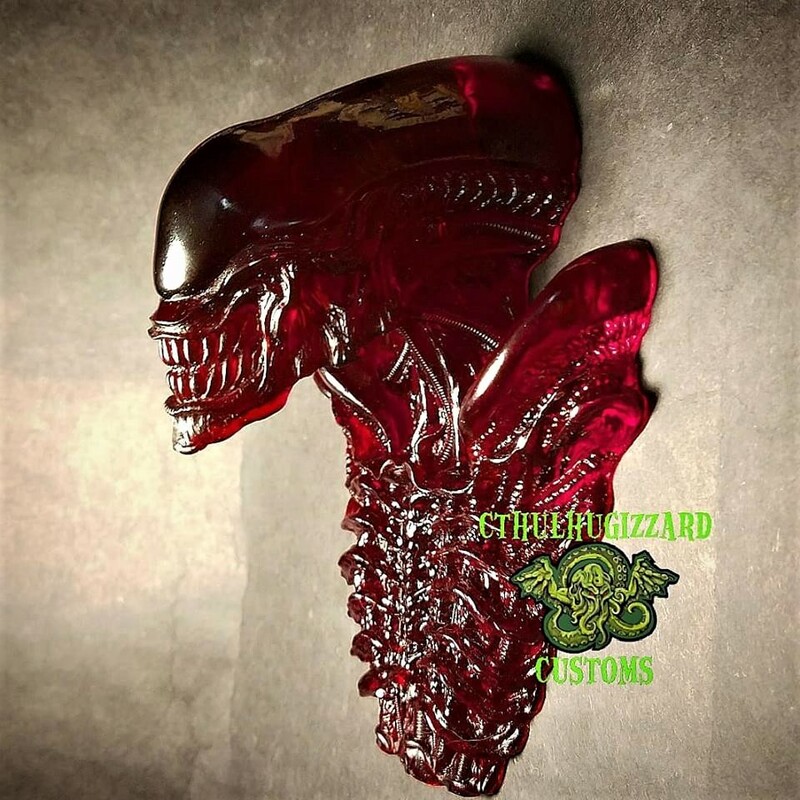 Wake Up To Xenomorph Acid And Excitement With these Resin “Alien” reliefs! 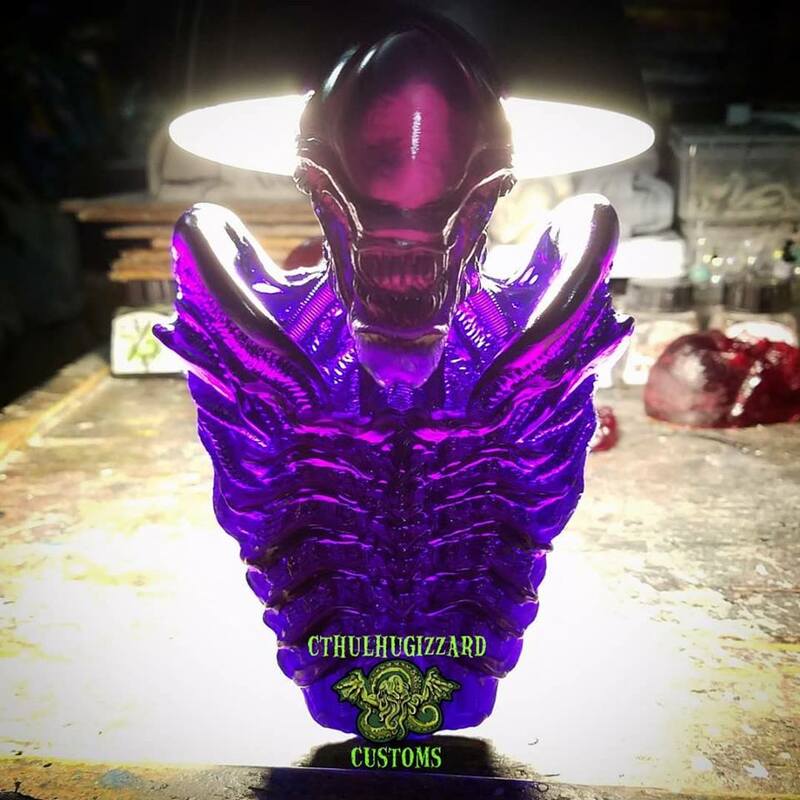 Cthulhugizzard Customs which specializes in resin horror collectibles has once again upped their game. 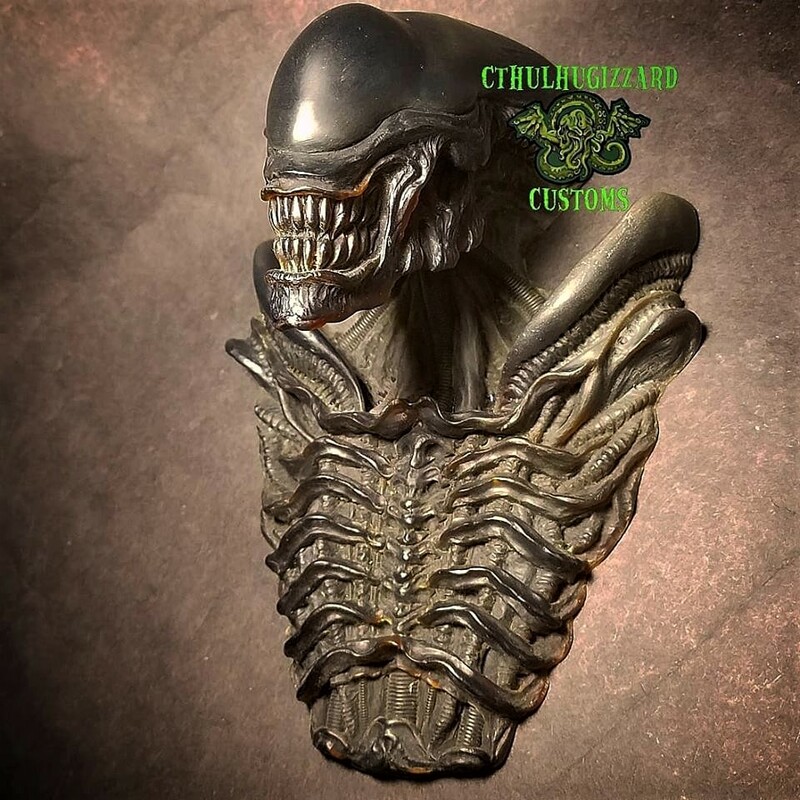 Hot out of the casting comes CTHULHUGIZZARD CUSTOMS ALIEN XENOMORPH THE QUEENS HANDMAIDEN RELIEF SPECIAL EDITIONS. These exquisite pressure cast resin Aliens spit pure enjoyment to every collector they come across! 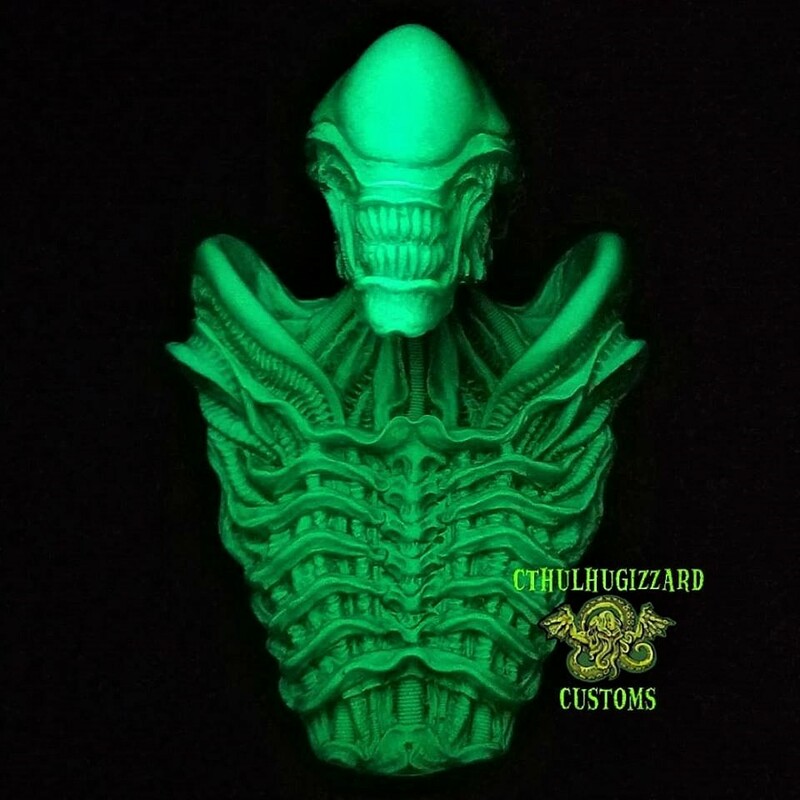 The 1/4 scale resin Alien measure 6 inches tall by 4 inches wide and 3 inches deep. The creatures are also part of Cthulhugizzard Customs 31 heads of Halloween sculpting relief challenge sculpts of 2018. Purple, brown, Dark Blue/ Green. And flat black and flat Leather color variants”. 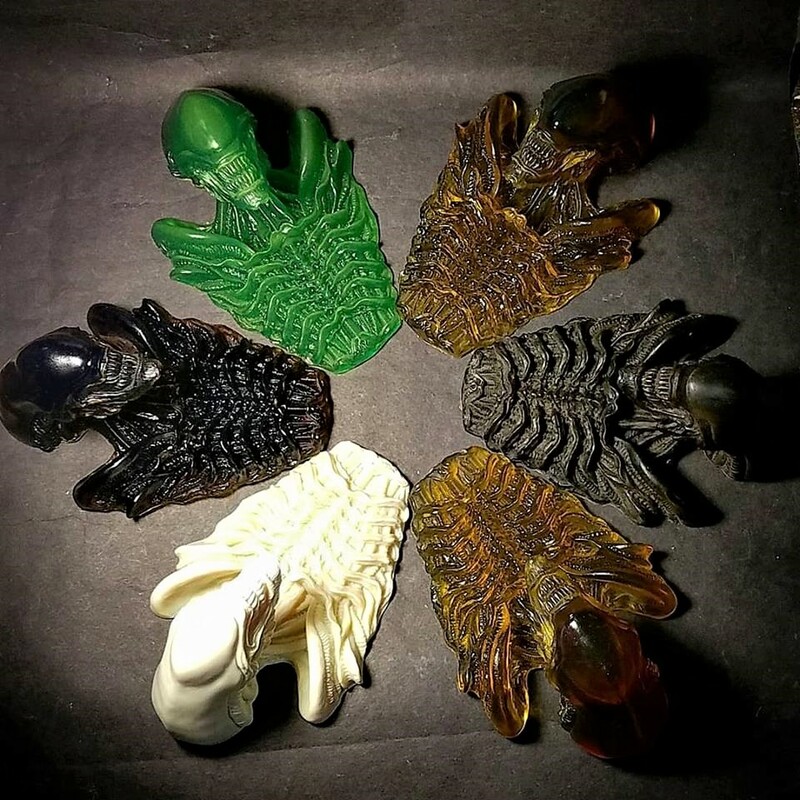 Available in too many colours to mention, you can find these highly-detailed Xenomorphs in Acid Blood Green glow, Translucent color variant, Blood Red Translucent color variant, Flat Leather Translucent color variant, Dark Purple Translucent color variant and more on the Cthulhugizzard Customs Etsy page. Each sculpt that is available is based off the mind and talented hands of Mike Swisstack, owner and operator of Cthulhugizzard. Every hand crafted resin casting that is pulled will be unlike all the others available (colours may vary depending on lighting and the surface may vary from glossy to flat, this is all part of a unpainted resin casting). 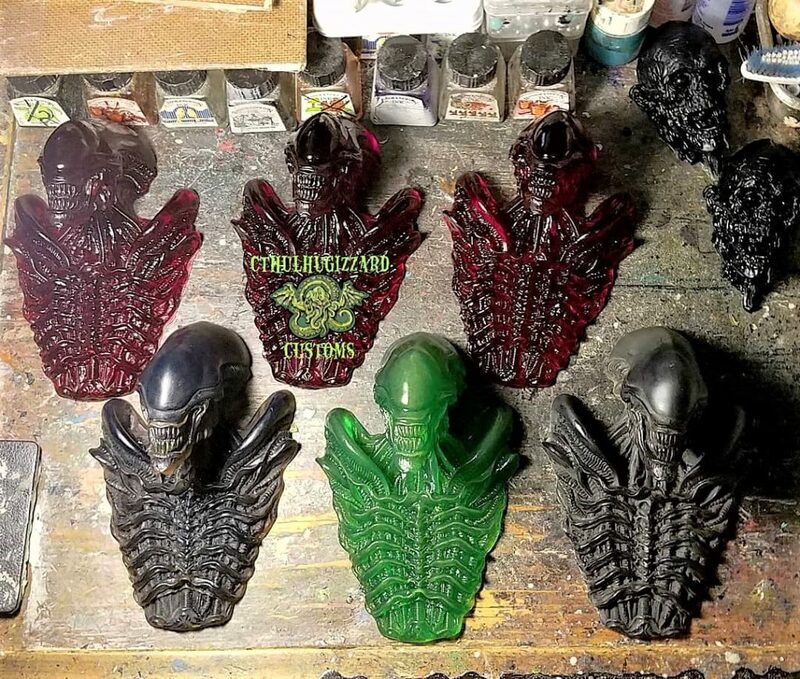 If you, like your own collectible Xenomorph for the holidays and haven’t seen the colour offered which fits into your horror collectibles, message Mike Swisstack on his Etsy page or Facebook.